The Dalite 69 x 92" Ascender Electrol Motorized Front Projection Screen is an interesting and functional option for venues where a ceiling mounted screen is not viable. 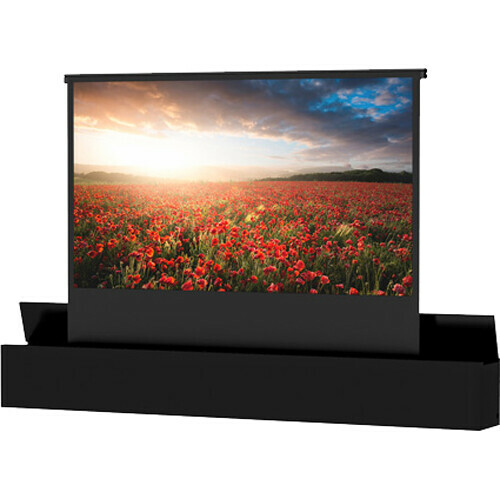 This unique screen can be recessed into the floor and with the flip of a switch rise to comfortable viewing height. If you prefer not to recess the screen into the floor, the Ascender can be mounted within an attractive case. The concealed approach to this screen makes it appealing to people who are limited by space and need a screen which can be hidden when not required. Box Dimensions (LxWxH) 136.0 x 28.0 x 22.0"